Free Delivery on this item - UK Mainland Only! The Ferplast Flippy Controller is a high quality Extending Dog Lead, that gives the owner, Maximum Safety and Ease, when walking their dog, by keeping the tape stretched. 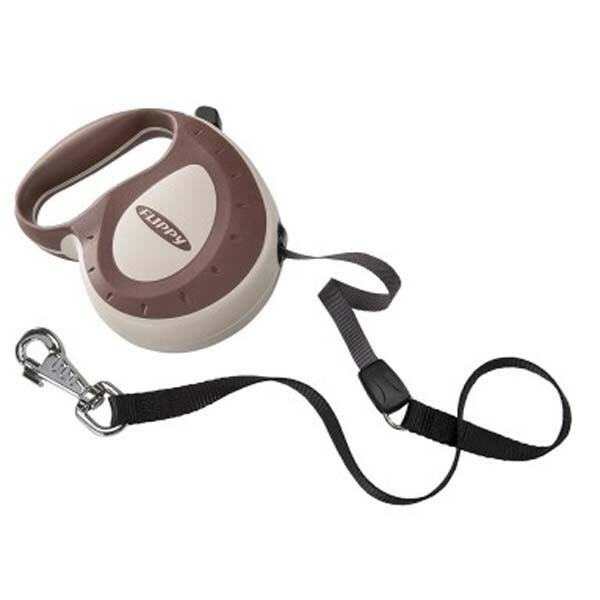 Extending Dog Leads give your dog a degree of freedom, but still allow the owner to maintain overall control. The retracting mechanism of the lead allows the tape to gently roll out and unroll without snagging. The innovative design allows smooth single handed control of the extending and locking system of the lead, helping you control and restrain your dog when required. 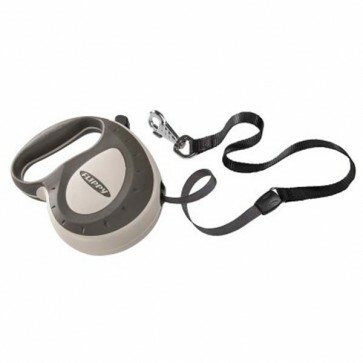 Retractable Leads can be used in both open and urban spaces. They are also ideal for areas which require your dog to be kept on a lead, giving your dog a sense of freedom to explore it's environment. 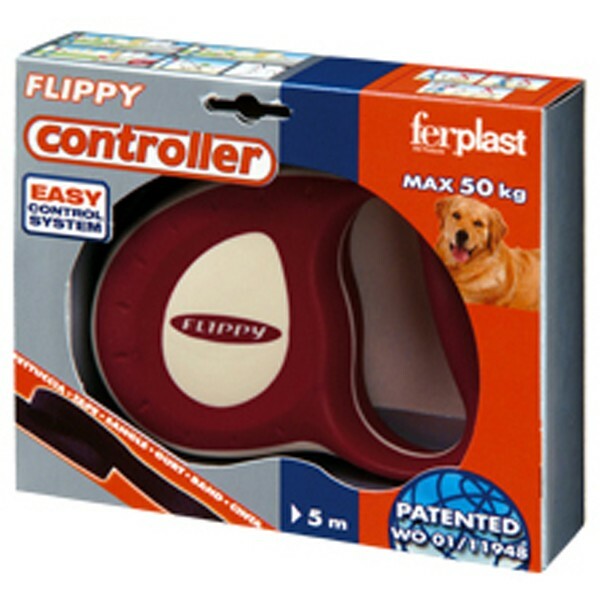 The Flippy Controller is suitable for any dog up to 50kg in weight and has a soft-grip handle with 5m of webbing tape. - Worldwide Patented Design - Not Made by any other Manufacturer!